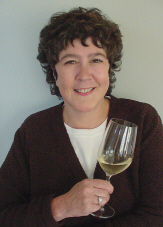 Lisa Shara Hall is the author of Wines of the Pacific Northwest (Mitchell Beazley 2001) and the co-author of The Food Lover’s Companion to Portland (Chronicle Books 1996). She serves as Senior Editor for Wine Business Monthly, Wine Business Insider and Winebusiness.com and writes for numerous publications including The Oxford Companion to Wine, The Hugh Johnson/Jancis Robinson World Atlas of Wine , and Decanter. Lisa is an active member of the Society of Wine Educators and the British-based Circle of Wine Writers. She is a frequent lecturer and educator, as well as the first student in Oregon to attempt the Master of Wine qualification. Hall judges wine competitions regularly, including the annual all-Greek competition in Greece, and was one of only three North Americans invited to judge Decanter’s inaugural (and annual) World Wine Competition in London.